Item # 311793 Stash Points: 5,995 (?) This is the number of points you get in The Zumiez Stash for purchasing this item. Stash points are redeemable for exclusive rewards only available to Zumiez Stash members. To redeem your points check out the rewards catalog on thestash.zumiez.com. An advocate for placing your best foot forward and living life to the fullest, Boo Johnson is one of the most inspirational young pros in the game today. Hyped on his demeanor and undeniable skill on a board, DGK presents his signature Money Moves Floral 8.0" pro model skateboard deck. 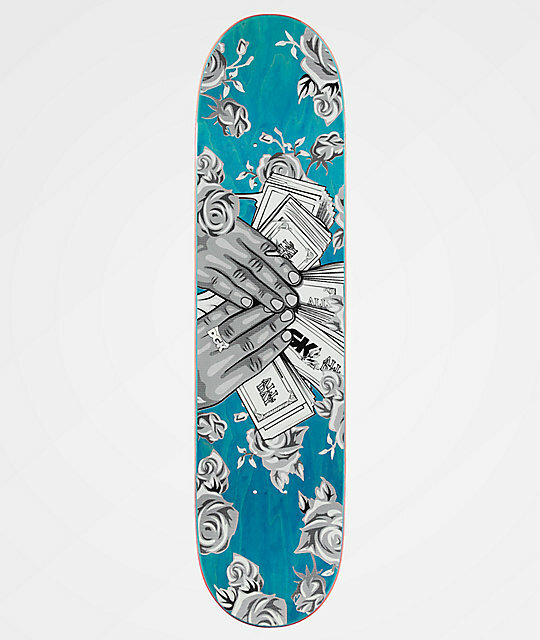 This 7-ply constructed board features a graphic of two hands grasping wads of money at the center of the underside, while the entire board is draped with a pink rose floral print pattern. 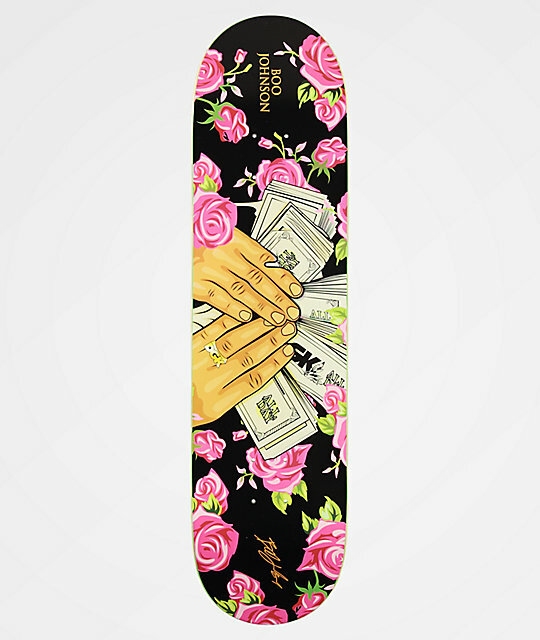 Money Moves Floral 8.0" Skateboard Deck from DGK. Signature Boo Johnson pro model.